This 3-ply Brown Tortoise American HH Stratocaster guitar upgrade gives you 68 or 102 pickup tones. Your stock Stratocaster is designed to give you a modest and inadequate 5 pickup tones. Don't you think it's worth a few dollars more to get a Grand Canyon Wide range of 68 or 102 Blues, Jazz, Metal, Surf, Country  plus the dozens of new and different pickup tones your stock guitar simply cannot produce? This EZ-Install AweSome upgrade for your Stratocaster gives you complete and total control over your pickups. And because you can independently control each pickup, you can turn each one on in normal-phase or reverse-phase, and you can also put them in parallel-connection or series-connection with one or more pickups. The bottom line is that you can get more pickup tones from your AweSome upgraded Stratocaster that currently gives you only a few pickup tones. When used In The Studio, your AweSome upgraded Stratocaster will have an incredible spectrum of up to 102 unique pickup tones that are impossible to produce with a "stock" instrument. T4-Switch and VT-2 controls to give you 68 pickup tones. 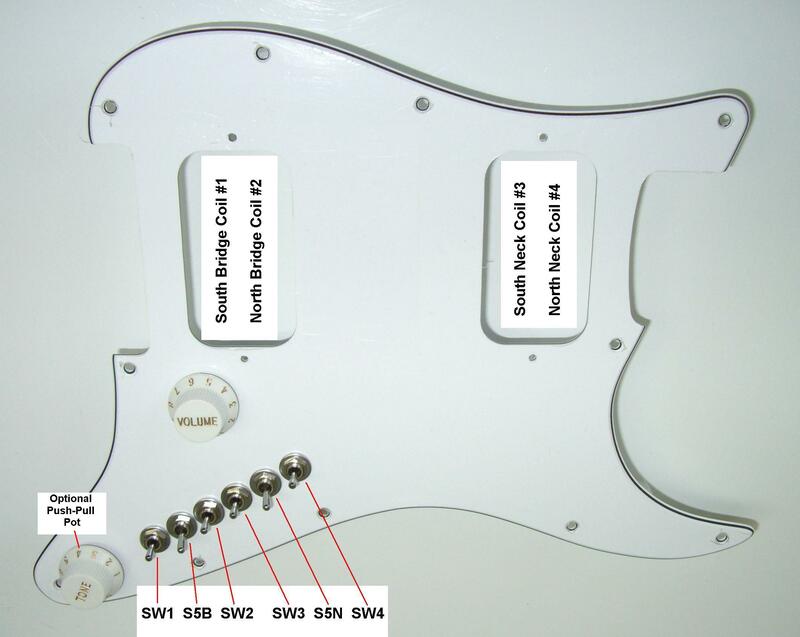 Your humbucker pickups must be 4-wire pickups. T4-Switch and VT-3 controls to give you 102 pickup tones. Switch S5N: Puts both (neck) pickup coils #3 and #4 into a Series circuit when Up. Both pickup coils MUST be On. 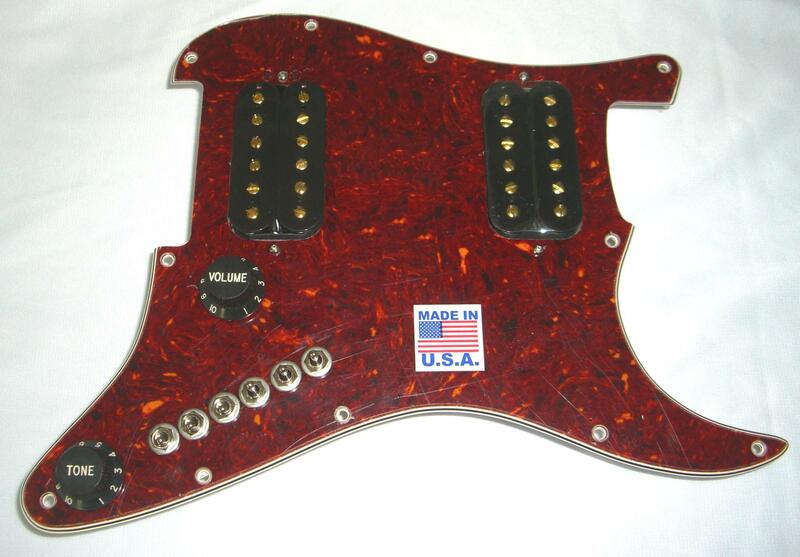 For product ID 043?a and 043b?, the various combinations of all of these switches will give you 68 pickup tones. For product ID 043c? and 043d?, the additional push-pull Tone control puts the north bridge and south neck pickup coils into a series circuit. This gives you 34 additional (102 total) pickup tones, several of which are QuadraBuckerTM pickup tones (all four pickup coils in series). One Brown Tortoise Stratocaster HH upgrade. You just install your pickups, connect your pickup wires to the green solderless terminal strip and connect the two marked upgrade wires to your output jack wires. This upgrade comes with our T4-Switch and VT-2 500K Bourns Volume-Tone controls to give you 68 pickup tones. One Brown Tortoise Stratocaster HH upgrade. This upgrade includes our AweSome standard pickups. You just connect connect the two marked upgrade wires to your output jack wires. This upgrade comes with our T4-Switch and VT-2 500K Bourns Volume-Tone controls to give you 68 pickup tones. One Brown Tortoise Stratocaster HH upgrade. You just install your pickups, connect your pickup wires to the green solderless terminal strip and connect the two marked upgrade wires to your output jack wires. This upgrade comes with our T4-Switch and VT-3 500K Bourns controls to give you 102 pickup tones. 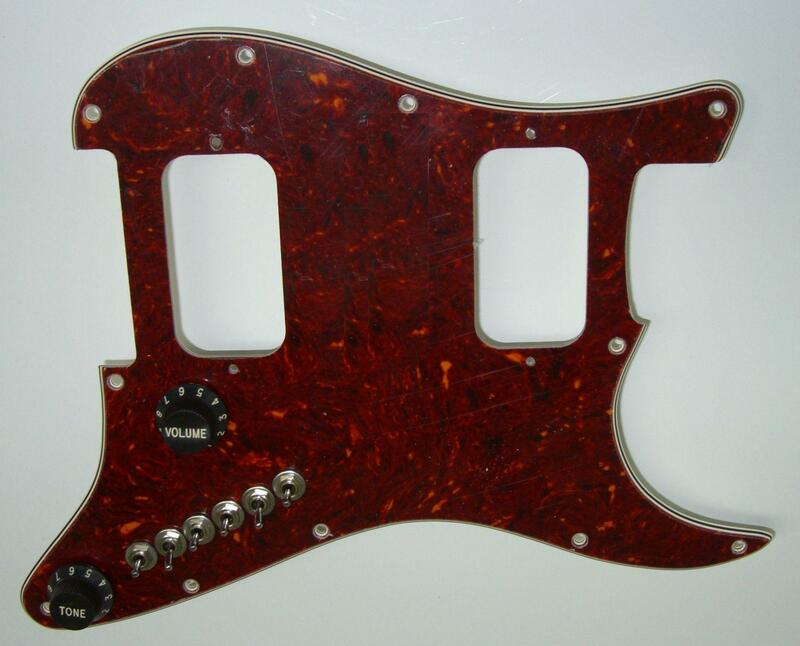 One Brown Tortoise Stratocaster HH upgrade. This upgrade includes our AweSome standard pickups. You just connect connect the two marked upgrade wires to your output jack wires. This upgrade comes with our T4-Switch and VT-3 500K Bourns controls to give you 102 pickup tones.